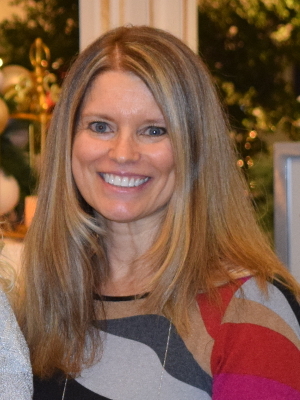 Join Louise Aamodt, Kristi Janikula Herro, and me for a coffee-style chat about favorite children’s books and the elements that make them shine. 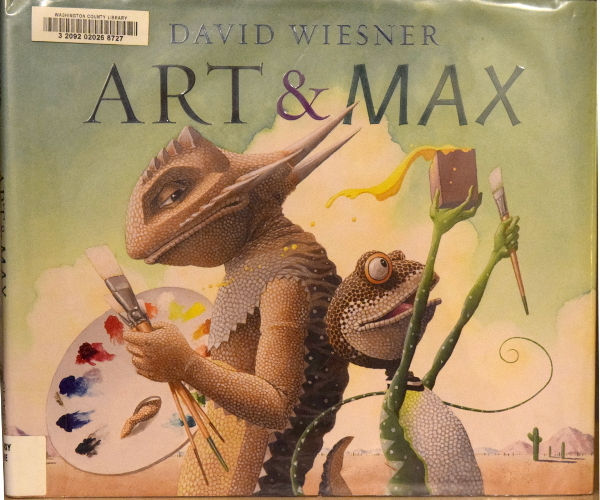 ART & MAX: Three-time Caldecott Medal winner David Wiesner blew me away with this “Art”ful treat. His entertaining, sparsely worded storyline takes readers on a creative adventure through a lizard skin canvas. Art’s opaque scales flake off to a pastel then watercolor undercoating to a line drawn outline, then back again. Look also for Max the Chameleon’s blend-action. It’ll make you snicker. 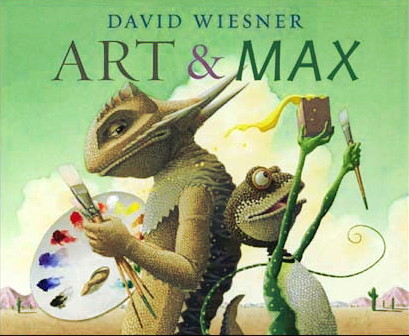 David Wiesner took the classic archetype of opposites to explore the artist’s creative process. I love the idea of starting the story with a blank slate, because for any artist, any medium, it is that very freedom, that can often times be so overwhelmingly stifling. So stifling, in fact, that you may feel the need for some reptilian armor to overcome it. Unless, of course, you allow yourself room to explore and laugh, which is what Wiesner seems to hint at, when he allows the armor to crumble into a new and exciting form of expression. What a great example of focusing first on the story, and letting the message (explore the world in your own joyful way) come subtly through. If you like those old Sesame Street videos showing how crayons or noodles are made, you’ll love seeing Max recreate his friend. A few years ago I visited the Dali museum in Florida. I can imagine how much inspiration a children’s book illustrator would find in there. Kids don’t see the world the same way as most adults, and there’s no doubt that Salvador Dali viewed things differently, too! Watch for Lou’s Gem next! What children’s book is your Illustrative Gem? Join Louise Aamodt, Kristi Janikula Herro, and me, for a coffee-style chat about favorite children’s books and the elements that make them shine. Dan Santat’s award-winning story is both a narrative and illustrative gem. Santat’s mastery is evident in his use of hues to create mood and tone. I delighted in the bursting colors of the imaginary world and felt the weight of the dark and dim “real world”. Told from the point of view of the imaginary friend, Santat wisely used varying vantage points to convey Beekle’s emotions. The breathtaking artwork has both humor and heart. The clever narrative has both wisdom and simplicity. And, … I just bet, that you can’t read this book about friendship without asking: What would my imaginary friend look like? Who hasn’t felt a bit overlooked, nondescript, or dare I say . . . lumpy? 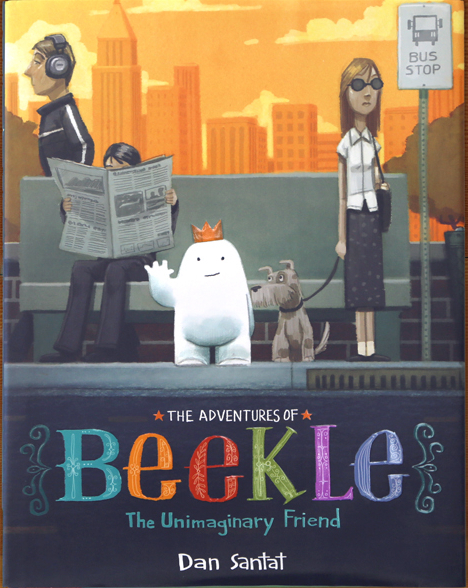 All the more reason to root for Beekle. Santat’s dreamy, rainbow-zen artwork keeps the mood sweet and upbeat. Is it too late in life to shop around for my own special friend? 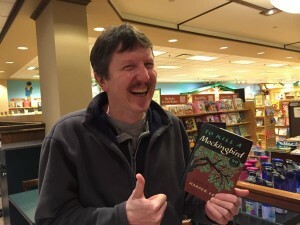 For our writers group’s holiday celebration, we each brought a favorite 2014 picture book. Mine was Beekle. The poignant story of longing and friendship proves that Dan Santat is an exemplary author as well as a Caldecott-deserving illustrator. He deserves every honor, and more. Contemplate Santat’s out-of-this-world end papers. Pure genius. Fun story-behind-the-story facts: Beekle is a sweet tribute to Santat ‘s son. Santat is best of friends with Lisa Yee, author of the fabulous Millicent Min and Bobby series. Santat illustrated Yee’s Bobby series, which was inspired by Yee’s son. Their creative friendship inspires and motivates ours. Join Louise Aamodt and me for a coffee-style chat about favorite children’s books and the elements that make them shine. Aardvarks turn orange when they’re hungry for ants, you know! ~ It’s an Orange Aardvark! IT’S AN ORANGE AARDVARK! by Michael Hall actually got me laughing aloud. The uncluttered illustrations and the fun hole punches piqued my interest. But what really tickled me was the good, old-fashioned page turns leading to unexpected surprises, each sillier than the previous. It’s tricky to write a cumulative pattern that doesn’t read like a tedious list of chores, but Hall’s repetition rolls right off the tongue. Gentle tension builds smoothly right up to the final page turn, keeping readers guessing. As a reread, it’s refreshingly funny even when the reader knows what’s coming. In one word: surprising. Oh no! It’s wearing blue pajamas! 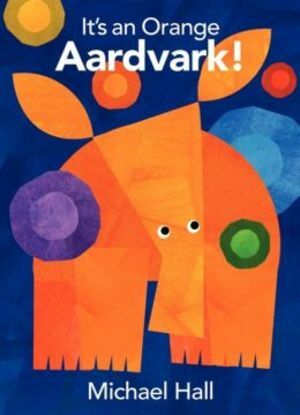 ~ It’s an Orange Aardvark! Since Michael Hall is a Minnesota talent, we might be biased, but orange aardvarks in blue pajamas are funny, I don’t care where you’re from. Hall’s New York Times bestselling creations are reminiscent of Lois Ehlert’s–flamboyant, mischievous, and colorful. This book will give you an edge when playing Eye Spy in rainbow order. Through Hall’s creative use of shapes, storyline, and mystery, readers will learn without trying. After all, who can resist discovery when it lurks behind a peephole? 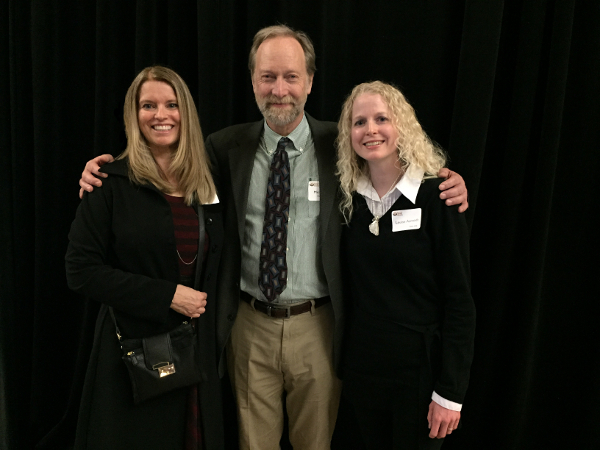 Michael Hall’s lovely wife, Debra Kelley, agreed to take our picture with Michael after the 2015 Minnesota Book Award’s Gala, where IT’S AN ORANGE AARDVARK, was a finalist for the Award for Children’s Literature. Their gesture of patient hospitality was especially thoughtful, as they were off to celebrate their 30th wedding anniversary. Congratulations to Michael and Debra! KEM GEMS WILL BECOME KIDLIT GEMS! 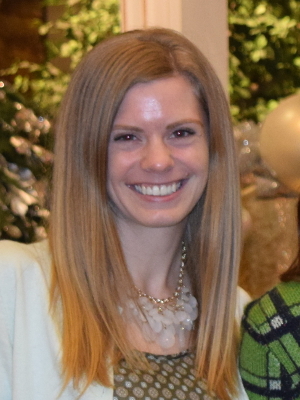 Elise, our E in KEMs, will retire from KEM Gems to make time for a good cause: creating children’s picture books. Her début title, If You Ever Want to Bring Your Alligator to School, Don’t!, comes out July 14, 2015. Plus she’s writing new stories, all while illustrating The Magic Word, written by Mac Barnett. Unfortunately, (or fortunately, depending on how you look at it), she no longer has time to review books. 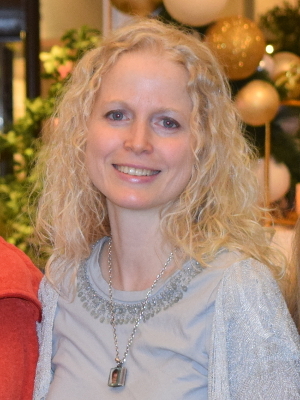 Kristi Janikula Herro, co-owner and editor of SpotOn Editing, Minnesota SCBWI Meet-up Coordinator, and Literacy Volunteer of America will continue reading, reviewing, and recommending Gems with me. 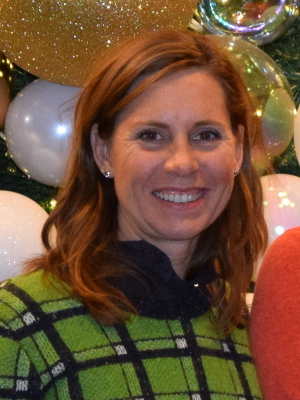 We’re pleased to announce that critique buddy, Louise Aamodt, 2015 MN Book Awards judge for Children’s Literature, runner-up of the 2011 Cheerios Spoonful of Stories Contest, and bilingual ESL teacher, joins us to form KidLit Gems. We think you’ll agree, Lou has the perfect qualifications to serve as a children’s literature ambassador. We chose our new name because KLM Gems sounds too much like an airline and MLK Gems . . . well, you get the gist. The Grand Poobah of all KEM Gem supporters, Randy Holland. 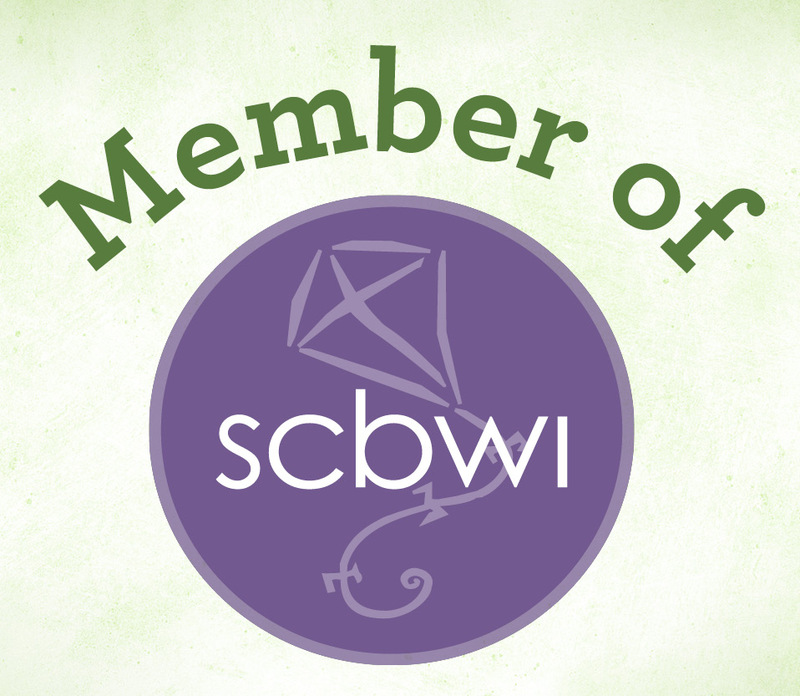 Kidlit Gems supporters, there will be more awards to come. Just sayin . 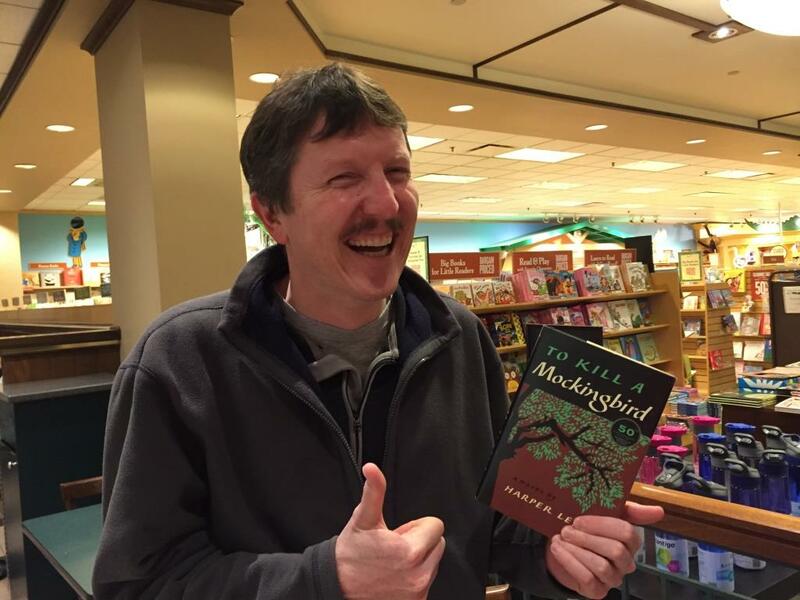 . .
To properly close our KEM Gem Chapter we awarded our most faithful KEM Gem supporter, Randy Holland, a “thank you” gift of To Kill A Mockingbird. Lucky for us, Elise will still be a constant in our lives as a critique partner, but we will miss her keen illustrator’s-eye appreciation for the visual artistry of each Gem. We hope she’ll continue to educate us with regular cameo appearances in the Comment Section. 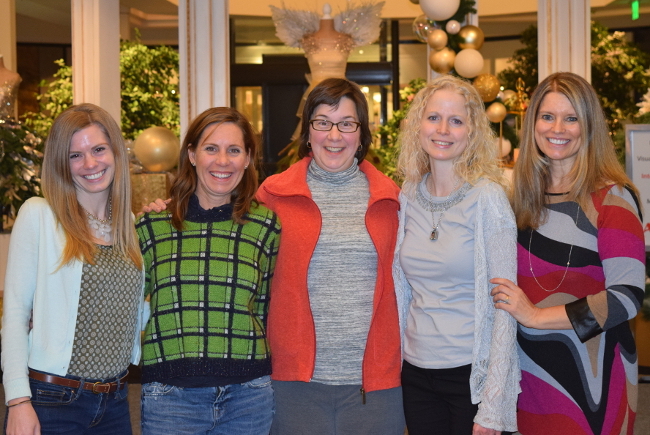 “I want to thank Marlys for hosting our Gem reviews for the past year! Personally, I tend to stick to short, funny books with lots and lots of illustrations. Marlys and Kristi, however, have pushed me to read a wider range of titles than I otherwise would, and I’ve learned much from their unique perspectives and book choices. I’ll do my best to keep up with the monthly KidLit titles reviewed on this blog, and I hope you’ll do the same. To have a coffee-style chat about children’s books and the elements that make them shine. It’s just like KEM Gems with a twist. 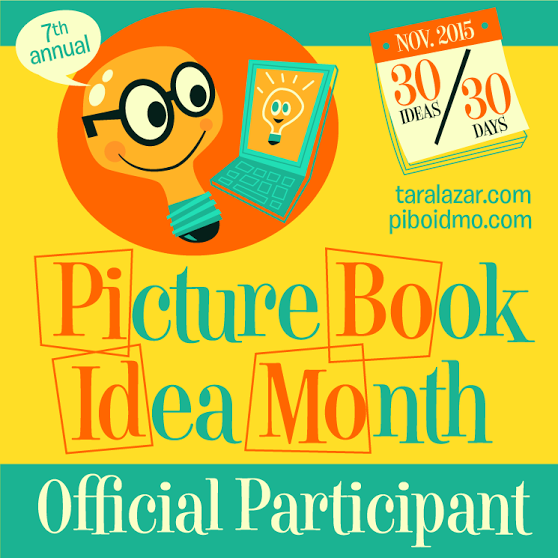 Each month Kristi, Lou, and I will recommend three books that match a theme. We’d like to hear your selections, too! Gems can come from any children’s genre–picture book, chapter book/easy reader, middle grade, graphic novel, or YA. What illustrative gem would you recommend?